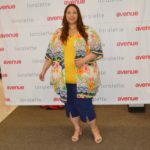 Plus size retailer Eloquii has launched their first ever Swimwear Collection and we couldn’t be more excited about this. 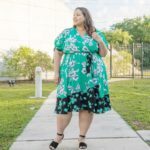 Eloquii is one of the most trend-driven retailers in the plus size industry and this seems to be the year of firsts for the brand, who recently launched their first ever designer collaboration. The 43-piece Swim Collection of one piece swimsuits, bikinis and cover-ups, it’s available in sizes 12 to 28. The prices of the swim collection pieces ranges from $49.90 to $119.90 dollars, it features great bust support that even fits cups sizes D to F. There are also a lot of separates to choose from giving you the ability to mix and match for a more unique look. The collection was inspired by the bright colors of the Caribbean, Americana and bold geometric prints, it’s a mixture of styles but they work together quite well. Some of the items are still not available, they are listed on the site as “Coming Soon”, but you can put yourself on a waiting list and get notified as soon as it becomes available. 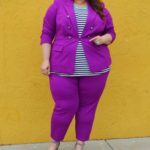 Check out a few pictures from the lookbook below and shop for all of the styles on their website at www.eloquii.com.